Each of this company's onesies features the footprint of one of its "baby founders"—a premature baby, born as early as 23 weeks, who came under the care of nurses Amanda Dubin, BS '07, and Kelly Meyer in the neonatal intensive care unit of Broward Health Medical Center, in Fort Lauderdale, Fla.
"After months of watching their tiny baby fight for its life, that time comes for the parents to finally take home their beautiful baby," Ms. Dubin says. "It's very emotional and overwhelming. And then some families struggle to provide the basics for their baby, such as clothing. That's why we started Luc&Lou." The company, founded in 2014, uses a "buy one, give one" model to supply new onesies to families in need, in partnership with nonprofits including the Jack and Jill Children's Center and Jessica Seinfeld's New York City-based foundation, Baby Buggy. To date, nearly 3,000 onesies have been donated. The Evolution of Washington, D.C. The history of Washington is a microcosm of the early years of the nation, as author and historian James M. Goode, PhD '95, shows in the new book The Evolution of Washington, D.C.: Historical Selections from the Albert H. Small Washingtoniana Collection at the George Washington University (Smithsonian Books, 2015). Dr. Goode, the longtime curator of Mr. Small's collection—which the philanthropist donated to the university in 2011—pulls from a reservoir of early American history, from the moving of the capital to D.C. from Philadelphia, to the construction of the White House and the dawn of steamboats on the Potomac. He presents 90 artifacts and pieces of memorabilia from the collection, including architectural plans, letters, lithographs and maps dating from 1671 to 1960. Dr. Goode was given this year's Visionary Historian Award from the Historical Society of Washington, D.C., and was Washingtonian magazine's 1989 "Washingtonian of the Year." Museums tend to be prickly about patrons taking home artifacts. But the George Washington University Museum and The Textile Museum began offering the next-best thing when it brought to life the 2010-2011 exhibition "Colors of the Oasis: Central Asian Ikats" through a partnership with eco-friendly textile company in2green. The collaboration spawned a series of throws that reproduce brightly colored ikat designs that were popular among Central Asian men and women in the 19thcentury, who embellished their clothing as a status symbol. The exhibit included 70 of the 200 items donated by Murad Megalli, a Textile Museum trustee who died in 2011. The limited-supply blankets are among some 2,500 handmade, sustainable and artistically designed gifts at the museum shop. The throws are available online or at the shop, open Mondays and Wednesday through Sunday during regular museum hours. SWAP (Style With a Purpose) Socks pairs the problem of preventable blindness in developing countries with an unlikely solution—mismatched socks. Though typically a mark of the sartorially challenged, here the mixing of colorful designs makes a statement about access to care and the 285 million people worldwide who suffer from preventable blindness, according to Roger Nahum, BS '13, and Cole Page, BS '13, who co-founded the company with friend Match du Toit. With every package sold, eye care is provided to a person in need. To date, the company has sponsored four surgical eye camps in Cambodia and Nepal, and provided hundreds of cataract surgeries with the help of nonprofit partners. The company's social ethos translates to its operations: The socks are made in North Carolina by Harriss & Covington Hosiery Mills, a fifth-generation mill. The four-packs come in four designs, with six new options slated for fall and four more come winter. As their little girls grew into preschoolers, Jennifer Muhm, BA '00, and Malorie Catchpole, BS '02, noticed an abundance of pink, sparkly, frilly clothing in stores. But the astronaut Halloween costume that Ms. Muhm's daughter wanted was marked "for boys," as were the train underpants that Ms. Catchpole's daughter requested for Christmas. Frustrated with options that stifled the burgeoning interests of their daughters, the pair founded buddingSTEM in 2014, and filled the commercial void with images of trains, planes, dinosaurs and rocket ships. Their goal is to encourage girls to explore STEM (science, technology, engineering and math) earlier in life. "Our girls love dolls and ponies, but they also love dinosaurs and robots," Ms. Muhm says. "We want them to see that nothing is off limits—they can like and be anything." The initial line includes T-shirts, leggings, dresses, headbands and tote bags that are screen printed in Los Angeles and in the pair's hometown, Seattle. After a number of high-profile recalls of chemically tainted toys between 2007 and 2010, photographer Jim Barber began to wonder: Where were the safe, simple, American-made toys of his youth? He called on his colleague Mitch Achiron, an art director, and together with the design and business expertise of their sons, Luke Barber and Evan Achiron, BA '09, the fathers-and-sons team built Luke's Toy Factory. The sustainable toy company offers three vehicles—a cargo truck, fire truck and dump truck—made from a mix of sawdust reclaimed from furniture manufacturers and medical-grade plastic. The materials are injection-molded to create the various pieces of each truck, which are designed as "stackingtoy puzzles" with interchangeable parts that nest in place. The toys are produced on a local scale, with parts traveling just 20 miles or so to a facility where they are assembled, packaged and shipped. 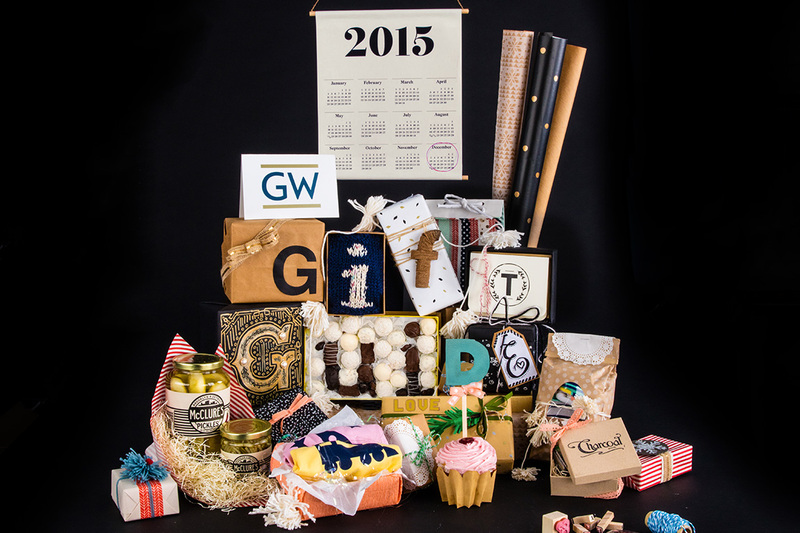 Additional toys are in development for 2016. Sweat—lots of it—dampening summer styles and spirits, drip by drip. It's one of the chief obstacles D.C. commuters name when it comes to biking to work, says Amber Wason, BBA '07. With an eye toward easing the effects of the heat and humidty on bikers, she and Jeff Stefanis co-founded Riide, a company that makes a sustainable, single-speed electric bike. It has the effect, she says, of "flattening the city." 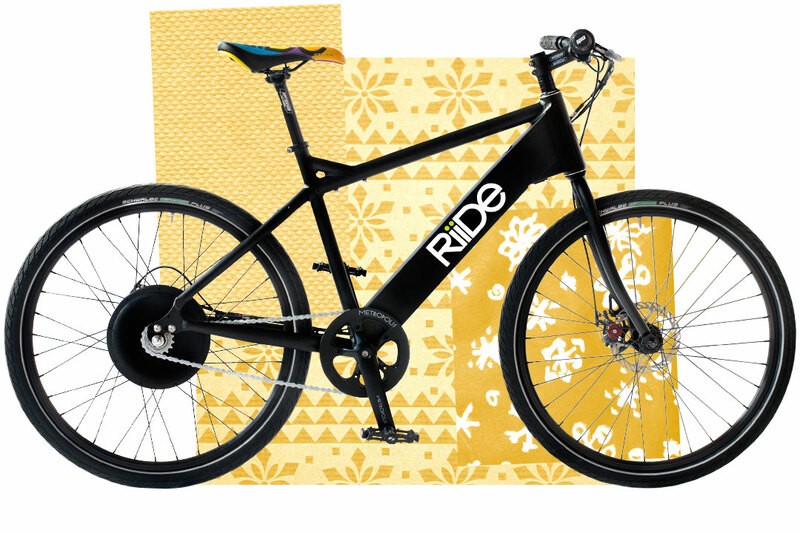 Matte black with a pop of color on the seat, Riide's bikes can reach 20 mph and are powered by a lithium ion battery that can get 25 miles per charge. The battery, housed inside the frame, powers up just like a cell phone—by plugging into a standard wall outlet. And the cycles come with a two-year warranty. "E-bikes are huge in China and Europe, but they haven't taken off in the U.S. yet," Ms. Wason says. "Riide is changing that." Watch a video interview of Riide co-founder Amber Wason, BBA '07, talk about the inspiration for starting the E-bike company. Watch this time-lapse video of a Riide E-bike being assembled in the company's workshop. Melissa Moriarty, BA '07, found her future while living in Medellín, Colombia, when she stumbled upon a family-owned shop in the nearby small town of El Carmen in 2012. That's where she saw the local hillside flora delicately reproduced on vibrant patterned plates. "At first, I couldn't believe the plates were hand-painted, but then I learned of the town's deep tradition of artistry, and I was hooked," she says. "I met with the man who owned the shop, and I said, 'I know there is a market for this in the U.S., and I can help you get there.'" He became her supplier, and the next year Ms. Moriarty launched Azulina Ceramics, a now global dinnerware company that employs 30 local artisans—receiving fair wages and three weeks of paid vacation—who are preserving a centuriesold tradition. "People were drawn to the town because the clay in the ground had the perfect chemical composition for pottery, and we are continuing that legacy in our own way," Ms. Moriarty says. The hard-won work ethic of the pre-industrial age meets the artistry of modern craftsmanship in Charcoal Goods razors. Brian Twilley, MFA '06, founded the Maryland-based company to flex his muscles as a machinist after apprenticing for two years in Portland, Ore. He uses a World War II-era vertical mill and other vintage tools to carve an assortment of razor handles and retro, crescent-shaped razor heads from copper, bronze and stainless steel. This type of shave, which uses separate, double-edged blades, hasn't been popular in the United States since the 1970s, Mr. Twilley says, but is still widely used in Europe. "The blades are recyclable so you are putting less waste in the landfill," he adds. "The idea is that these razors will last a lifetime—that's what drew me to it, making something that lasts." 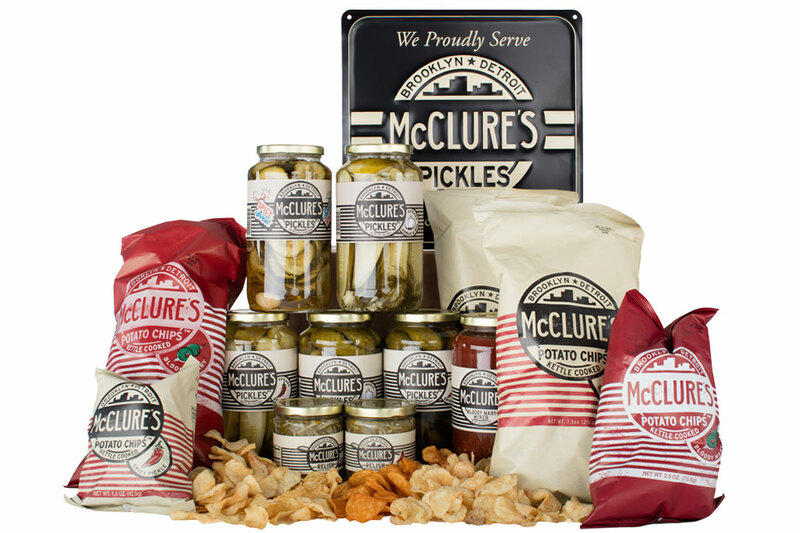 The success of the close-knit family behind McClure's Pickles comes down to a few key principles: source produce locally, support the economy of their hometown of Detroit, use natural ingredients and, perhaps most important, stick to Grandma Lala's recipe. "We spent our summer days pickling vegetables from the farmers market, and when you're a kid, it's the last thing you want to do," laughs Bob McClure, MFA '03. "But it created a bond for our family and gave us a foundation. This is who we are." Bob, his brother Joe and their mother and father, Jennifer and Mike, launched the company in 2006, when they saw a hole in the market for premium pickled goods. Soon after, the brand's homegrown story and uniquely flavored brine were giving it traction with Oprah and Martha Stewart. Today the product roster (available online in bulk and at retailers nationwide) features garlicky and spicy staples well beyond pickles, including potato chips, Bloody Mary mix and a new olive tapenade that hit grocery store shelves in September. "Food is 100 percent an investment in taste, smell and touch, and people want a great experience," Mr. McClure says. "For us, it's about food, family and great stories from that connection."